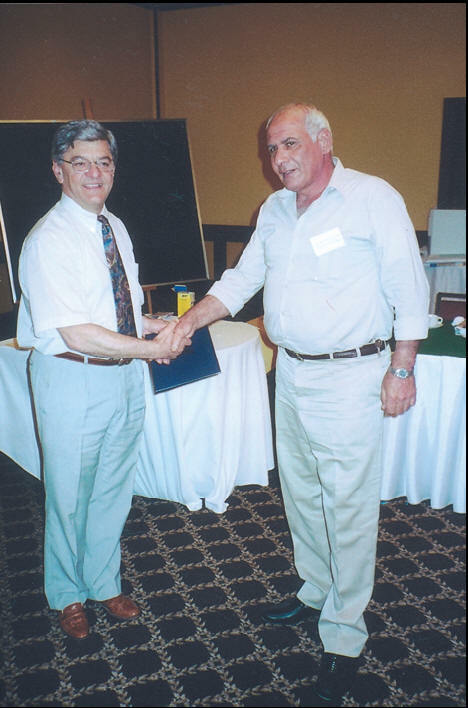 (CARDNE) was launched following a 1983 FAO-sponsored meeting of representatives and observers from 18 Near Eastern states, also attended by observers from the International Fund for Agricultural Development and the World Food Programme. The agreement to establish CARDNE came into effect in 1987 following its ratification by six countries. 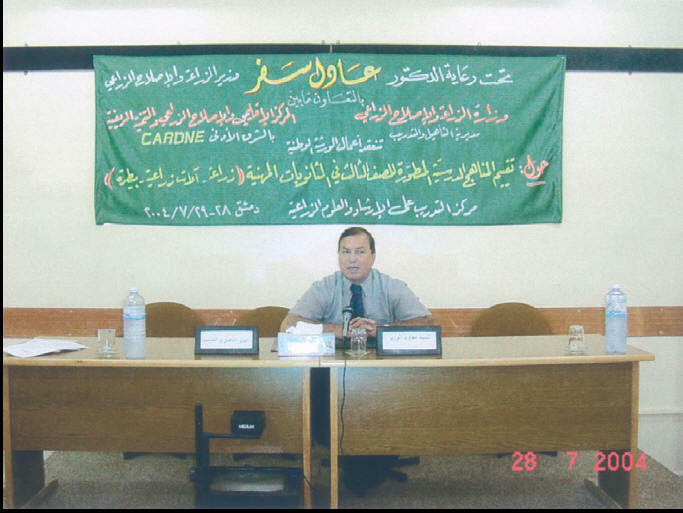 CARDNE’s current member states are: Jordan, Tunisia, Sudan, Syria, Iraq, Lebanon, Egypt, Yemen and the Islamic Republic of Mauritania, Palestinian National Authority (MOA–PNA) as an Observer. All states in the Near East region are eligible to join the Centre after ratifying the Instrument of Accession and forwarding it to the Director General of the Food and Agriculture Organization (FAO-Rome). Hosted by the government of the Hashemite Kingdom of Jordan, CARDNE is an autonomous intergovernmental organization that is governed by a Council consisting of all member states, which meets once every two years. 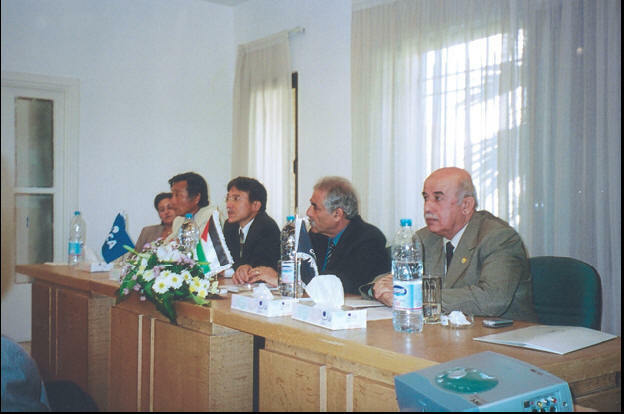 An executive committee of five member states oversees activities, and meets at least once a year. The Director General is the legal representative of the Centre. Mediterranean Agronomic Studies (CIHEAM)-Paris, the Arab Organization for Agricultural Development (AODA)-Khartoum, the Arab Centre for the Studies of Arid Areas and Dry Lands (ACSAAD)-Damascus/Syria, Queen Zein Al Sharaf Institute for Development (ZENID)-Jordan, Development and Employment Fund (DEF)-Jordan, and the Inter-Islamic Network on Water Resources Development and Management (INWRDAM). To assist national action and stimulate and promote regional cooperation relating to agrarian reform and rural development. To improve the production, income and living conditions of small-scale farmers, pastoral nomads, and other disadvantaged rural groups. To integrate rural people in the development process, and to promote their involvement in the social, economic and cultural life of their communities. local community representatives to exchange ideas and experience. implementation, monitoring and evaluation of programmes and projects. 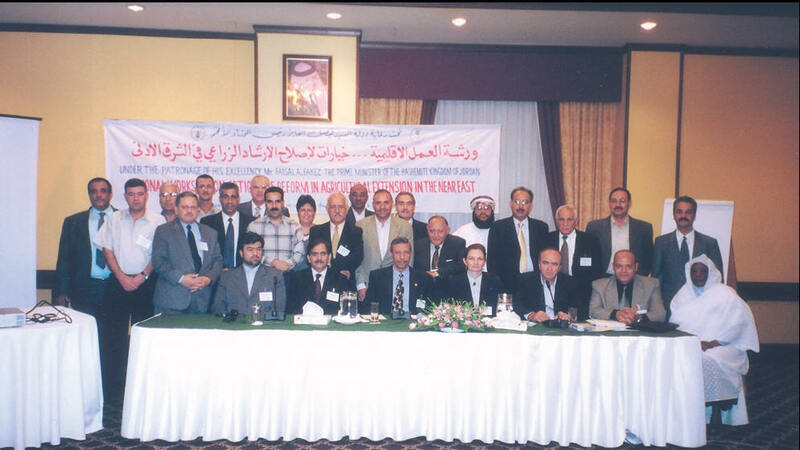 achievements throughout the last quarter in 2003 until the date of the meeting in 2004.
took a decision to submit recommendations to the Governing Council to approve the external reviewer report (the Republic of Iraq) for the fiscal period 2002 / 2003. 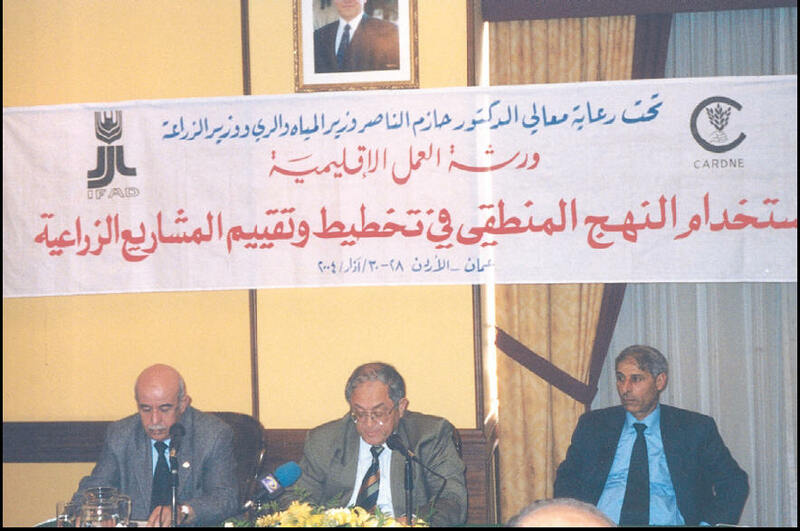 Agrarian Reform in Syria on 10 January 2004. 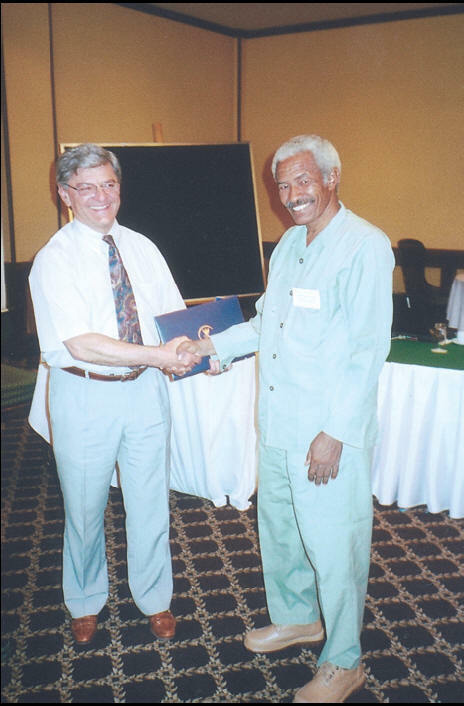 The Minister and Director General reviewed CARDNE’s scope of activities and the work plan set for the years 2004 / 2005. The discussion was enriched by the significant views and comments made by H.E. the Syrian Minister. Agriculture in Jordan in his office. Both parties had discussions on aspects of cooperation between the Ministry and the Centre in addition to ways of promoting cooperation. The Director General received in his office Dr. May Hani, Officer in Charge of Extension, Education and communication Services Department at the Regional Office of the UN Food and Agriculture (F.A.O / RNE) in Cairo. The Assistant Director General and Director of Development, Research and Studies Department at the Centre joined in the discussions, which revolved on ways of cooperation in rural and agricultural extension. 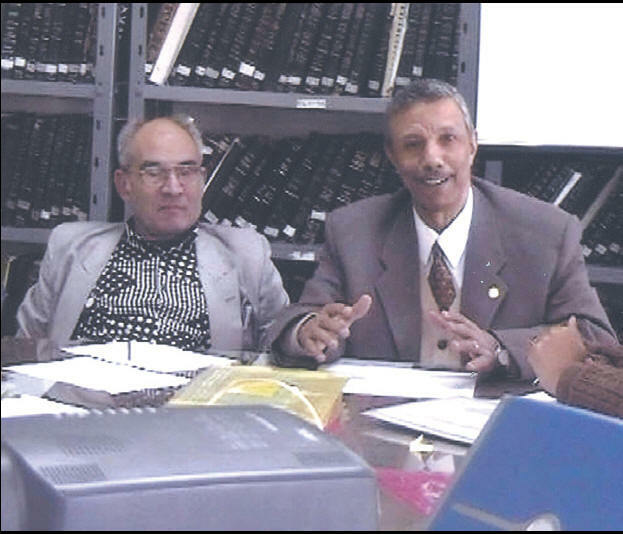 The Director General received in his office on 27 April 2004 the General Secretary of the Afro Asian Rural Development Organization, New Delhi, accompanied by the Executive Chief of the Middle East Regional Office (MERO) and the region technical expert. Sharing similar objectives, the parties reviewed the activities of the Organization and the Centre, and discussed plans for bilateral cooperation. They agreed to sign a bilateral Memorandum of Understanding aiming at implementing concerted activities in the near future. The Director General received in his office on 27 April 2004 the Representative Resident of JICA in Tel Aviv, the Assistant Representative Resident of JICA in Jordan, and the programme Coordinator of JICA office in Amman. The discussion revolved on a number of the administrative and technical aspects of the five-year Programme to be implemented by CARDNE in cooperation with JICA for training the staff of the Ministry of Agriculture in the National Authority of Palestine. The Director presented the Centre’s goals and strategies, and the role CARDNE plays in enhancing regional cooperation. The Director General received in his office on 13 August 2004 Mr. Richard Eason, the Economic Counsellor at the American Embassy, and Mrs. Hala Khouri, the agricultural affairs specialist at the Embassy. The parties reviewed the objectives and activities of the Centre as an autonomous intergovernmental organization operating at the level of the Near East region. The Director General received in his office on 30 September 2004 the Vice Minister of the Ministry of Jihad–e–Agriculture in the Islamic Republic of Iran. Both parties discussed aspects of regional cooperation, the Centre’s activities and actions required for Iran’s accession to the Centre. The Director General received in his office on 3 October 2004 the economic expert and the Chief of the Sustainable Agricultural and Rural Development Team at UN-ESCWA . 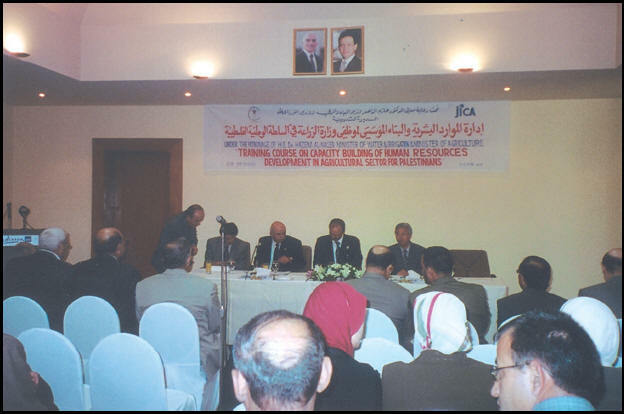 The parties discussed the participation of the Centre’s experts in the Seminar organized by UN-ESCWA in December 2004 on Rural Development: Policies, Strategies and Institutions. The Assistant Director General met in his office Dr. Orita Iwami, the expert at the Japanese International Cooperation Agency in Tokyo (JICA). 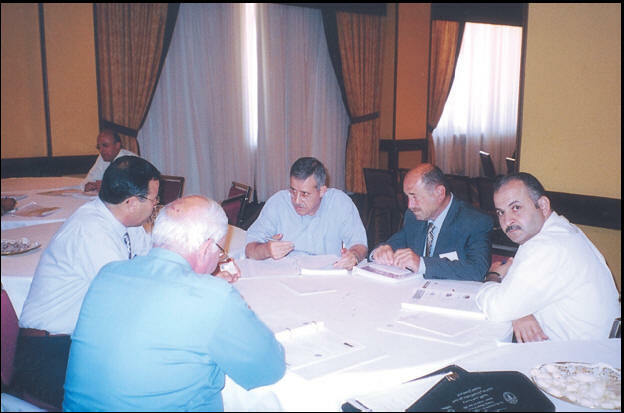 The discussions revolved on theoutcomes of the training programme implemented by the Centre for a number of officials at the Ministry of Agriculture in the National Authority of Palestine during August and September 2004 in the field of institutional capacity building and human resources management. Additionally, the parties discussed the programme to be implemented in the framework of the Agreement on Training Programme in a third country that was signed between CARDNE and JICA Office in Amman. 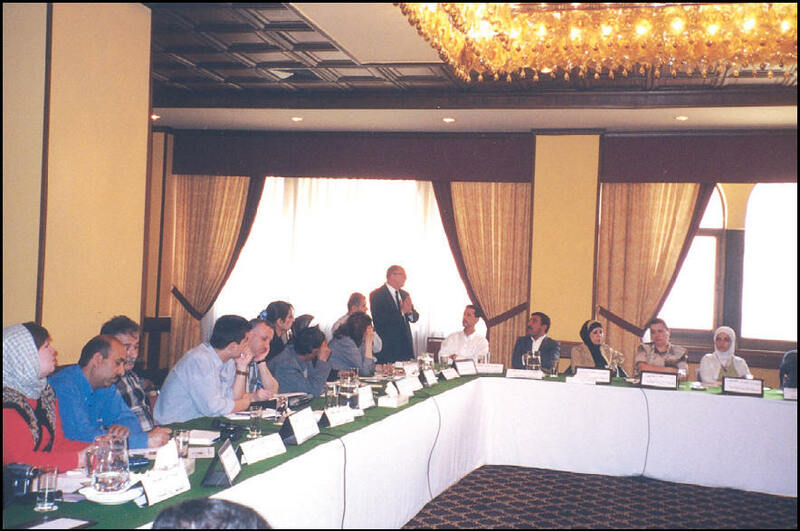 states in one workshop in Lebanon. 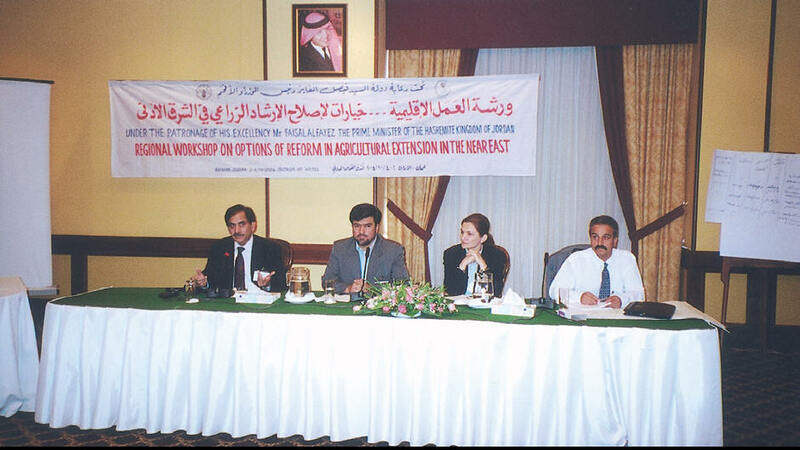 conducted eight national training sessions, three of which were implemented in Jordan, two in Syria, and one in each of Lebanon, Egypt and Yemen. Additionally, three study tours (19% of the total activities) were organized by the Centre. human resources management and institutions promotion. (AGFUND), will be issued within the few coming months. 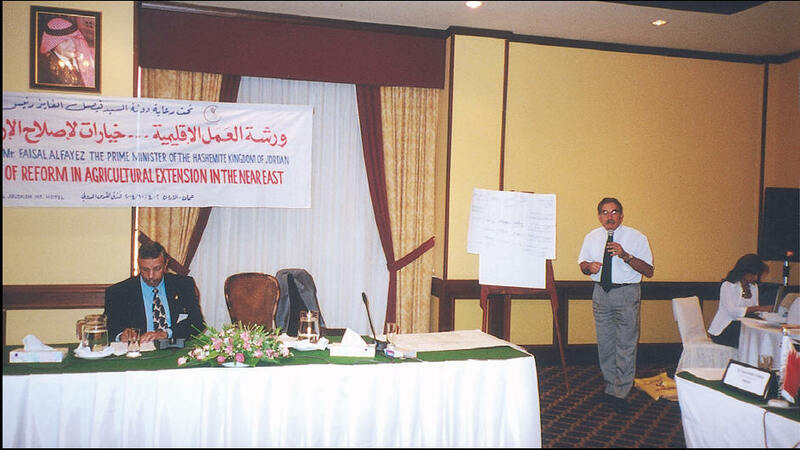 Jordan, included thirty two participants from projects management units in Syria, Lebanon and Jordan. Experts from the I.F.A.D, and the regional coordinator of the Technical Support for Using Logic Approach in Projects Planning and Assessment were among the participants. Also, the Social Gender Expert and Director of Development Research and Studies Department from the center, participated in the discussions. 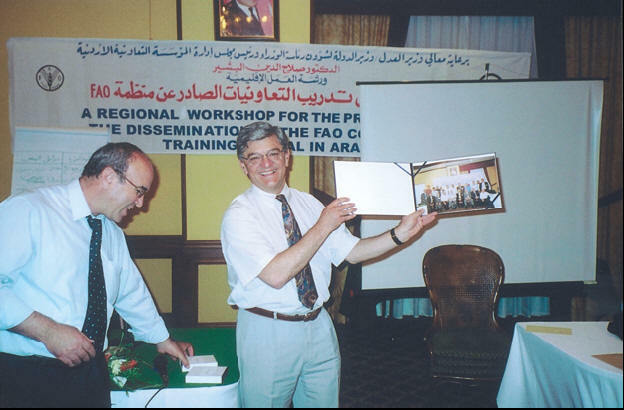 * Regional Experts Workshop for the Promotion of the Dissemination of the FAO Cooperative Training Manual in Arabic in Amman, from 6-8 June 2004. CARDNE organized this workshop in collaboration with the Rural Institutions Services Section at F.A.O.- SDAR / Rome. The workshop, which was conducted under the auspices of H.E. the Minister of Justice / 8 State Minister of Prime Ministry Affairs and Chairman of the Jordanian Cooperative Institution, was attended by a number of experts from CARDNE member states. Also, Mr. Janos Juhasz, Cooperatives and Rural Organizations Officer, SDAR / F.A.O in Rome, and Mr. Bernd Seiffert, local Institutions and Rural Livelihoods Officer, SDAR / F.A.O in Rome, took part in the workshop activities. 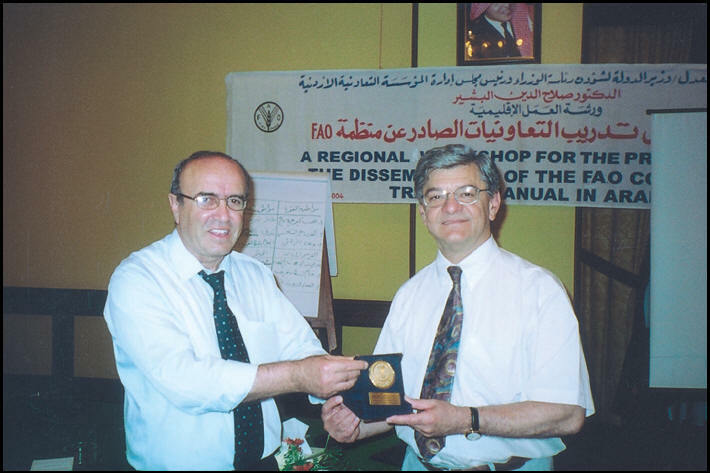 Copies of the training manual and CD-ROM were distributed to the participants for the use of the participating experts.The workshop agenda focused on the Training of Trainers Manual, which was drafted and produced in Arabic by F.A.O – SDAR / Rome, for the first time and included activities addressing a variety of topics. Among these were: SWOT-based analysis, analysis of cooperative leadership, impact of globalization on the cooperative movement, communication and intercommunication difficulties, and planning for public relations campaigns. 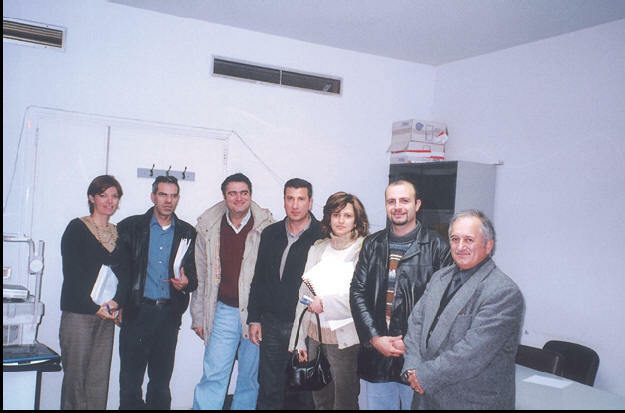 with the Regional Office of the UN Food and Agriculture Organization (F.A.O /RNE) / Cairo, and the Extension, Education and Communication Services Department (SDRE) at the Organization Head Offices in Rome. The objective of this workshop was to highlight the challenges facing agricultural extension and concerned institutions. It asserted the need to adopt modern techniques that ensure the promotion of this field to the extent that contributes to the advancement of this activity and the agricultural sector as a whole. Turkey, Egypt, Tunisia, Yemen, Syria, Lebanon, Bahrain, Jordan, Oman and Palestine were among the participants. Besides, a number of representatives of international and regional institutions, universities and experts participated in this workshop. 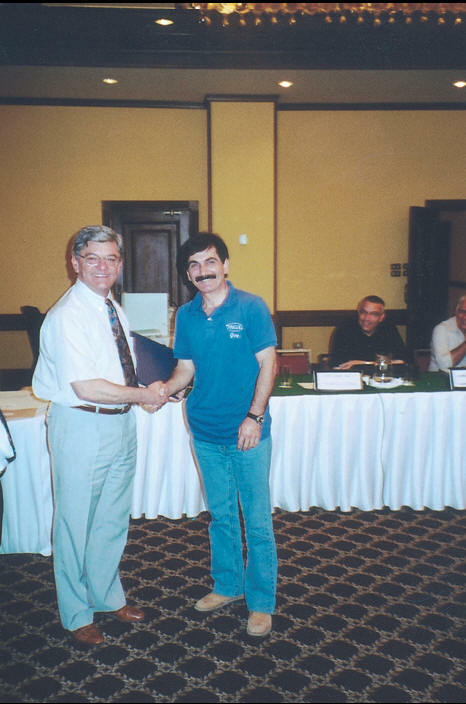 CARDNE’s representative to the workshop was the Chairman of the Executive Committee. Also, the Director General of the Agricultural Extension and Cooperation in Iraq, CARDNE’s member of Governing Council, was among the participants. promoting the income of the rural families in the southern area of Syria. Economic and Social Committee of West Asia (UN-ESCWA) at the ESCWA Headquarters in Beirut organized this workshop. CARDNE sponsored the participation of several experts from Jordan, Lebanon and Egypt in this seminar. Participants presented papers on rural development in the three countries they represent. Governorate. 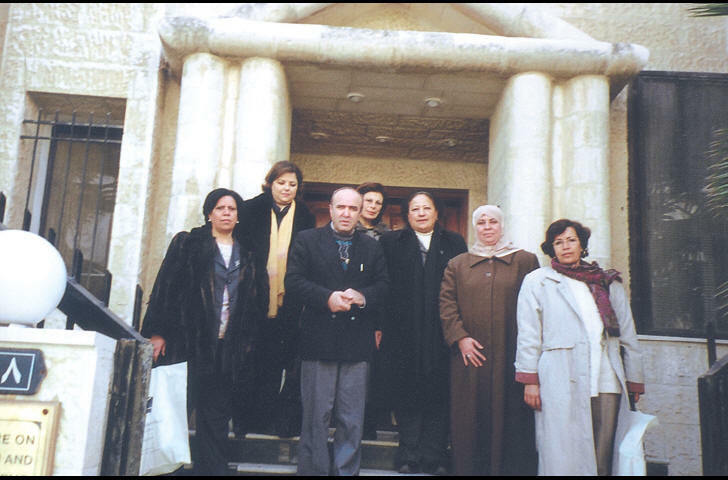 The sessions, which lasted for three days from 1–3 March 2004, was attended by twenty five ladies from Ajloun neighbourhood. by the company. Additionally, a visit to a farm located in Madaba Governorate was scheduled in order to examine and assess the irrigation system applied there. and trainers. In his opening speech, CARDNE’s Director General commended JICA for their profound competence and the generous support they provide to the development of human resources in the Near Eastern states. objective of this training was to enable olive oil producers to export their product and to beat competition in the world market. Agricultural Machinery / Veterinary” from 28 –29 July 2004. 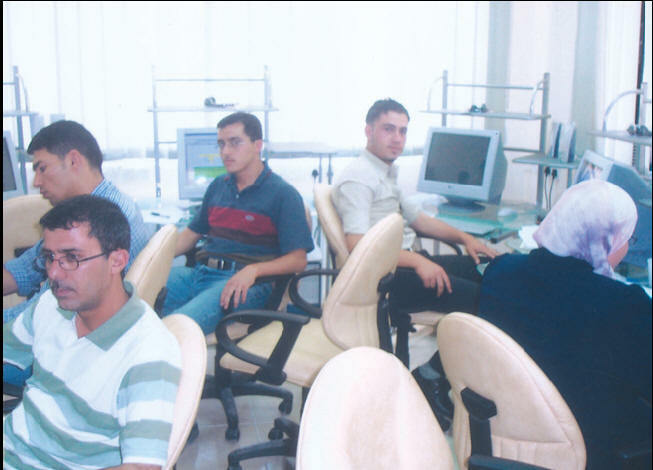 The workshop, which was attended by fifty nine participants from the various Directorates of the Ministry, Syrian universities, and agricultural secondary schools, endeavors to cope with the agricultural development strategies 2001-2010 ratified by the political and governmental leadership in Syria. The discussions focused on the status of intermediate and agricultural vocational education, proposal for promotion of this sector, forms of designing learning units of the developed academic curricula and axes of development based on the specialization curricula of agriculture, agricultural machinery and veterinary. which is implemented by the Lebanese Ministry of Agriculture. The training focused on field and comprehensive assessment and follow up based on logical framework, and designing assessment forms in view of the logical framework matrix. Additionally, the sessions provided training on data analysis and the incorporation of the social gender concept in planning and implementing developmental projects in the framework of the technical assistance grant agreed upon between the Centre and the International Fund for Agricultural Development, I.F.A.D / Rome. 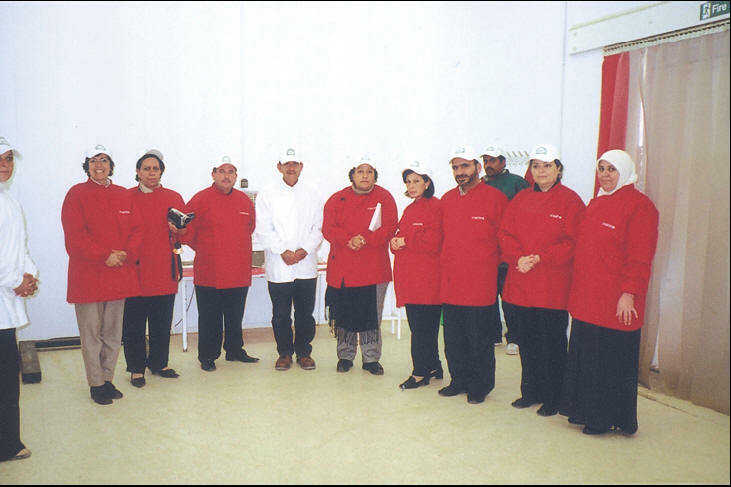 * CARDNE sponsored the training sessions which was organized by the Institute for Agricultural Extension and Rural Development Research in the period from 25–29 December 2004 in Cairo. Fifteen researchers and assistant researchers from the Institute participated in these sessions, and five researcher lecturers delivered training material, which focused on Systems Related to Agricultural Extension Information. * Under the auspices of H.E. 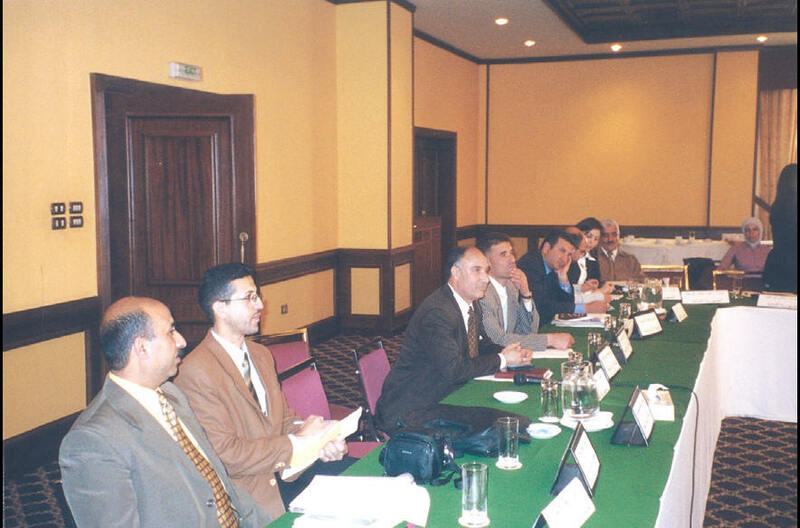 the Minister of Agriculture and Irrigation in Yemen, CARDNE sponsored the national training sessions conducted on 27 December 2004. The training, which focused on the implementation of ports inspection procedures and procedures relating to notary public security capacity, targeted quality control inspectors as well as insecticides and plant quarantine inspectors who were given the notary public security character. It also targeted plant quarantine inspectors controlling land, sea and air ports in Yemen. Thirty five participants attended the training, which tackled the obstacles and restraints facing the trainees in the process of implementing their tasks. 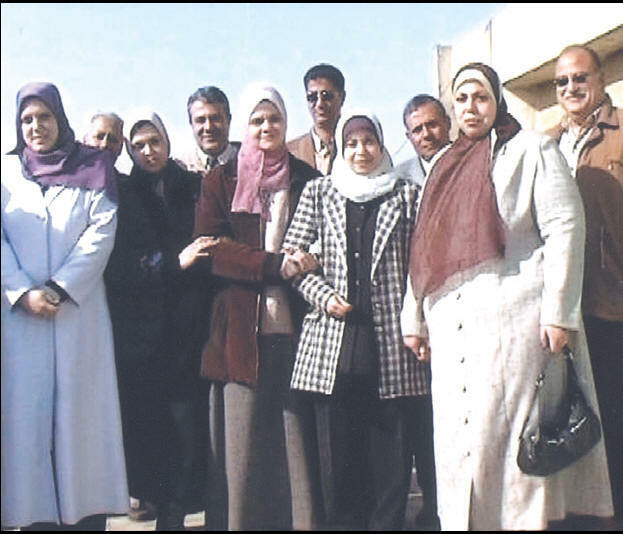 CARDNE organized a field visit for five feminine high officers from the Ministry of Agriculture and Environment and Water Resources in Tunisia to examine Jordan’s experience in extension and the integration of women in the rural areas in the agricultural activity. The visit programme was laid out and implemented in cooperation with the Ministry of Agriculture in Jordan and included meetings with the Secretary General of the Ministry of Agriculture, the Director General of the Agricultural Credit Corporation, and a number of officials from the Ministry and the Corporation. It also included field visits to agricultural enterprises run by women, feminine cooperatives and Directorates of Agriculture in Kerak, Ajloun and Middle Ghor. The delegation was introduced to the extension programmes implemented by the Ministry, which concentrate on extension for women in the rural areas through the Directorate of Agricultural Extension, Directorates of Agriculture and agricultural projects, particularly Agricultural Resources Management Project in Kerak. the new international trade trends. CARDNE in this regional conference. 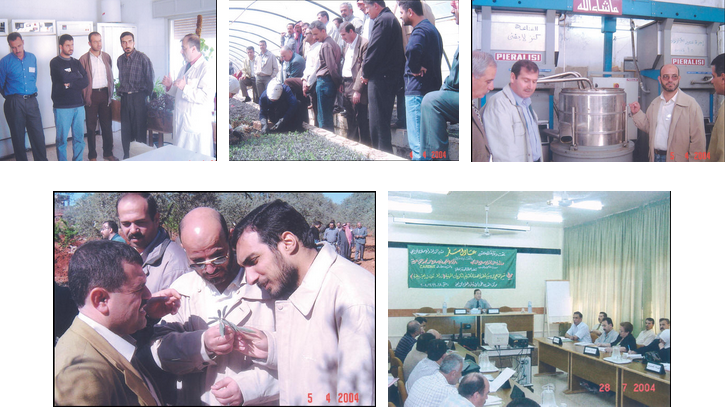 * CARDNE received from the Ministry of Agriculture and Agrarian Reform in Syria a CDROM containing all bulletins on agricultural extension issued up to 2003 by the Directorate of Agricultural Extension at the Ministry. CARDNE distributed copies of this CD-ROM to all concerned ministries in the member states to allow them to make the utmost benefit of the distinctive Syrian experience in this field. * CARDNE received from the Ministry of Agriculture and Agrarian Reform in Syria a series of agricultural extension publications on agriculture comprising of agricultural agenda on key vegetables and fruits in Syria, Syrian cattle and safflower.